This portrait of Lyndon Johnson is up at Brasil. Why? Who knows. The dark, lacquered oil paint looks good against the bright pink, though. Is this painting a thrift store find? If so, it is one of the best finds ever. 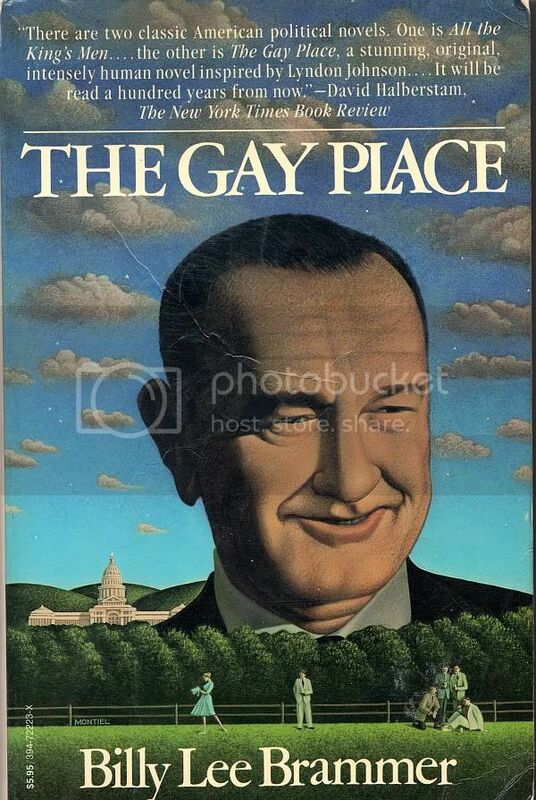 Lyndon Johnson is a fascinating figure. We have him to thank for the Civil Rights Act of 1964 (and the weaker one from 1957--which was the first civil rights legislation since Reconstruction) as well as Medicare and Medicaid. All reasons for the right to hate him. But he also escalated our presence in Vietnam and turned it into a major war, which gives the left a good reason to hate him. David Montiel's clean, somewhat surreal style perfectly fitted the style of book covers in the early 80s (think Vintage Contemporaries). He also did a good cover for another unnecessarily obscure 60s classic, Frederick Exley's A Fan's Notes (Montiel did the cover for the Vintage Contemporaries trade paperback). 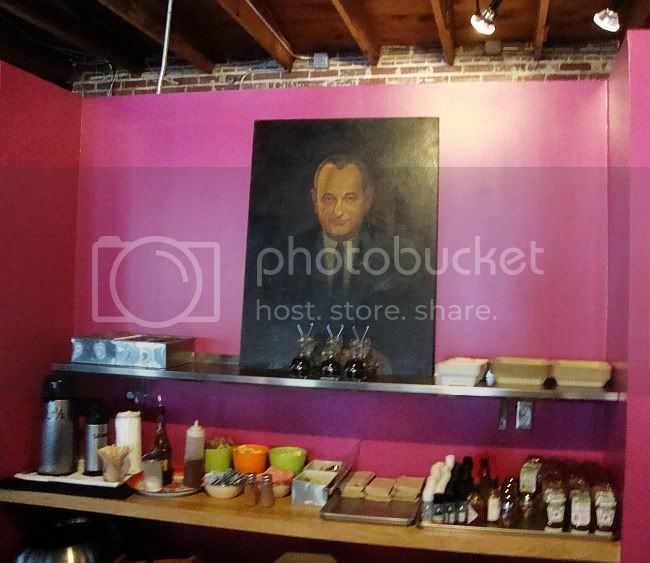 I ate at Brasil last week and was amused by the LBJ portrait also. I kind of thought of it as LBJ watching over the condiments. Like - don't mess with the condiment area or the ghost of LBJ will send the ghost of Lady Bird to smote your ruin and teach you some manners.